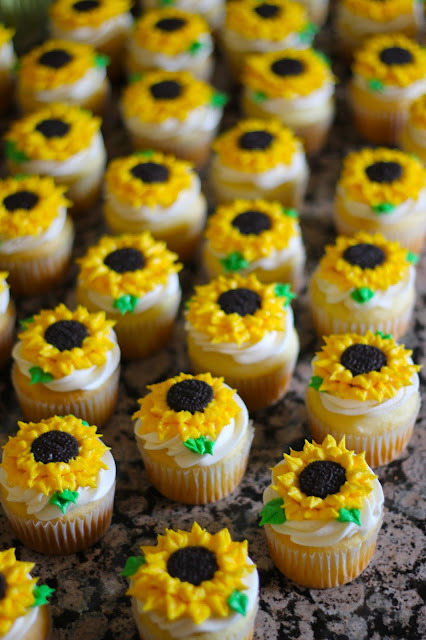 Today I'm sharing these fun sunflower cupcakes I made for a bridal shower. 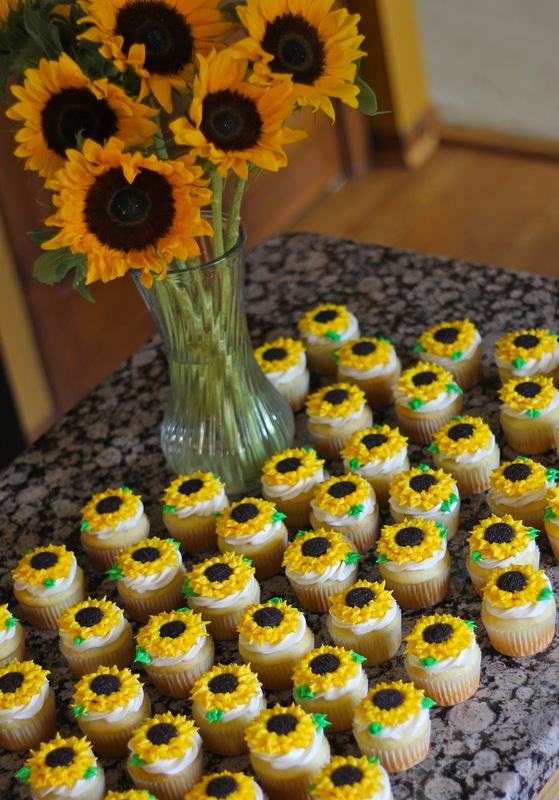 Sunflowers are my absolute favorite, so I was extremely excited to make these! They are so perfect for the fall. I must admit, I was a little nervous when I set out to make these, because I have not done much work with piping petals on flowers. I was pleasantly surprised with how adorable they turned out (I definitely think I need to make these again). 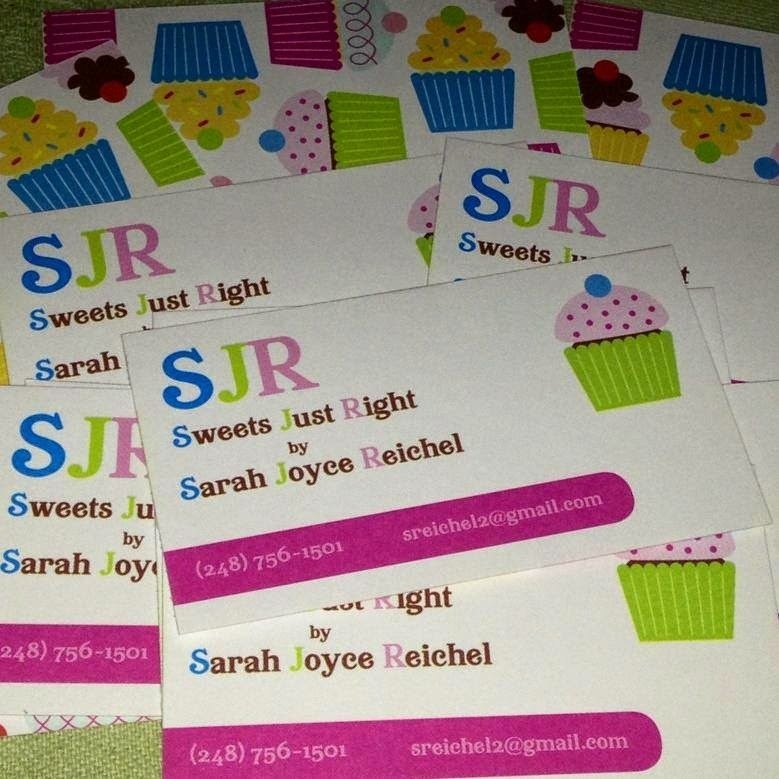 Although they were a little time consuming, they were well worth it. I love trying to new things with my baking. The middle of the flower is a mini Oreo, and the rest is buttercream. The bride is a sunflower lover like me, and sunflowers are incorporated into every part of her October wedding. 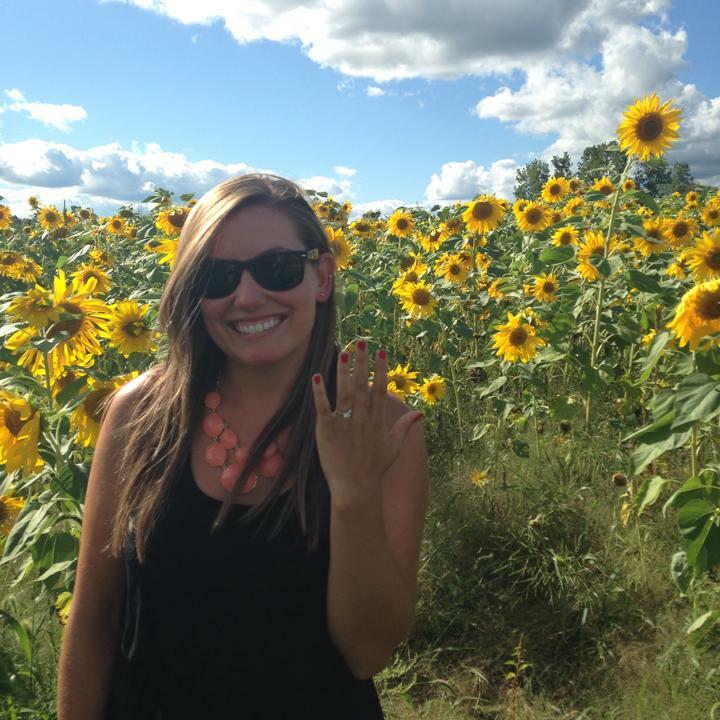 Below are pictures of her engagement (in a sunflower field) and her professional engagement pictures. I was so happy to make these to go with her sunflower theme!